Our Arrivals blog series highlights new company and product announcements. In this post we announce the upcoming version of Appogee Leave. 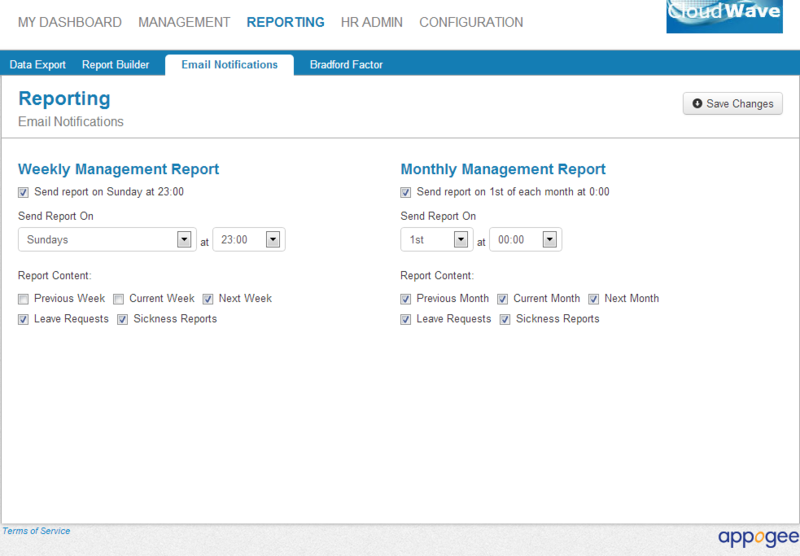 Earlier this year we refreshed the user interface for Appogee Leave in preparation for future updates. As part of our efforts developing Appogee Leave, we recognize that Managers and HR professionals require the ability to view their data in a way that makes sense to them to help them take appropriate action. Based on a recent customer survey and other feedback received, we are excited to introduce Appogee Leave v6.5 with support for notification alerts and a comprehensive report builder. 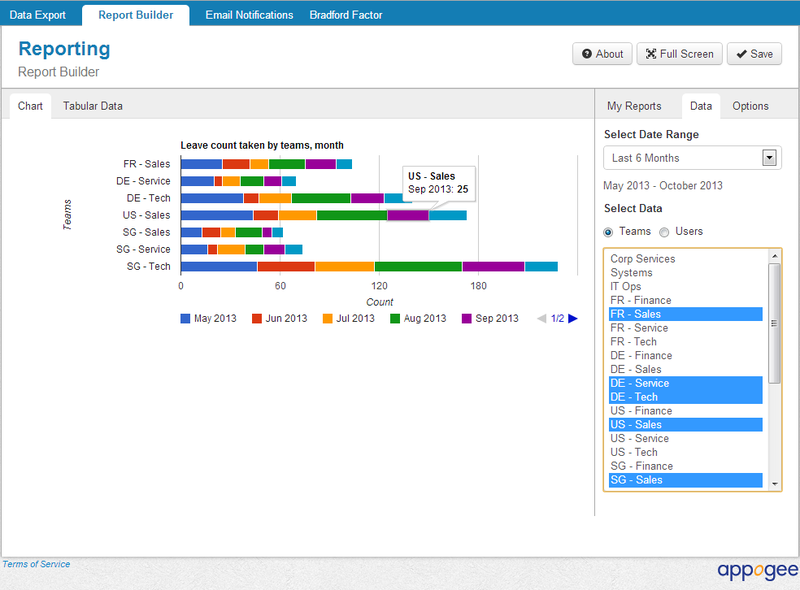 The Report Builder for Appogee Leave is available to all Managers and HR Administrators. It provides a flexible and dynamic report generator with hundreds of configuration options to deliver your chart the way you want it. We also provide a default set of charts as “My Reports” which you can add to or remove, to provide easy access to the reports you make regular use of. Under Reporting we have also added the ability for all Managers and HR Administrators to automate weekly and/or monthly digest emails that report on absences in their team(s) for past, current and future periods. This provides a great way for managers to keep aware of constraints on resource availability in their teams. The delivery of these is configurable which, for example, caters both for those managers who prefer to get a list of absences for next week on a Friday afternoon, as well as those happy to have a notification about this week sent to them first thing on a Monday morning. 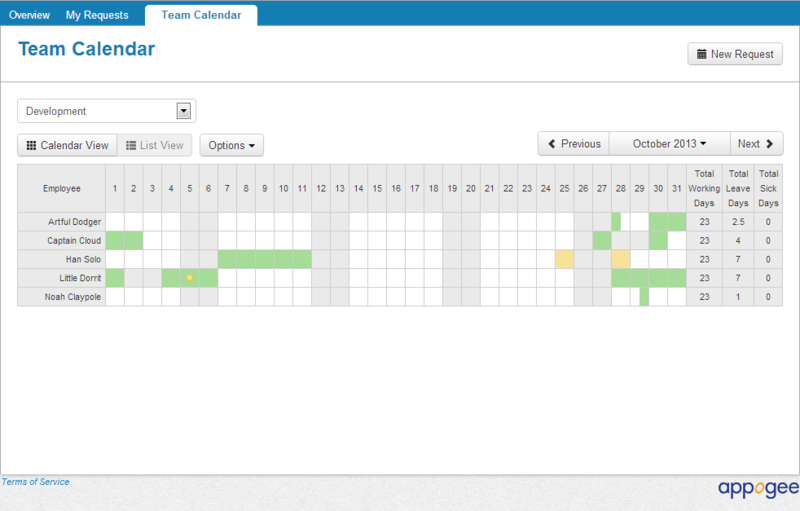 As always we’ve added in smaller improvements based on user requests, so Team Calendars now include the ability to toggle between the traditional “wall planner” style which shows staff absences by calendar date, and a new List View which displays absences by team member by date for the selected month. We have introduced this in response to user feedback. We really appreciate the input you give us to help us improve the product! Appogee Leave customers can expect to see Version 6.5 live before the end of October. We’re happy to receive your feedback, so please leave a comment below, add your feature requests – and if you really like what we’ve done, we’d really appreciate you giving Appogee Leave a 5 star customer review.